Click on play button to listen high quality(320 Kbps) mp3 of "We Are One (Ole Ola) [The Official 2014 FIFA World Cup Song] (Audio)". This audio song duration is 3:47 minutes. 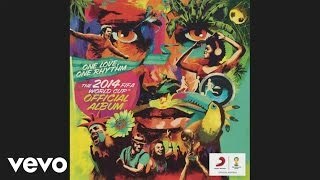 This song is sing by We Are One (Ole Ola) [The Official 2014 FIFA World Cup Song] (Audio). You can download We Are One (Ole Ola) [The Official 2014 FIFA World Cup Song] (Audio) high quality audio by clicking on "Download Mp3" button.